Your wedding is the most important day you will ever have. 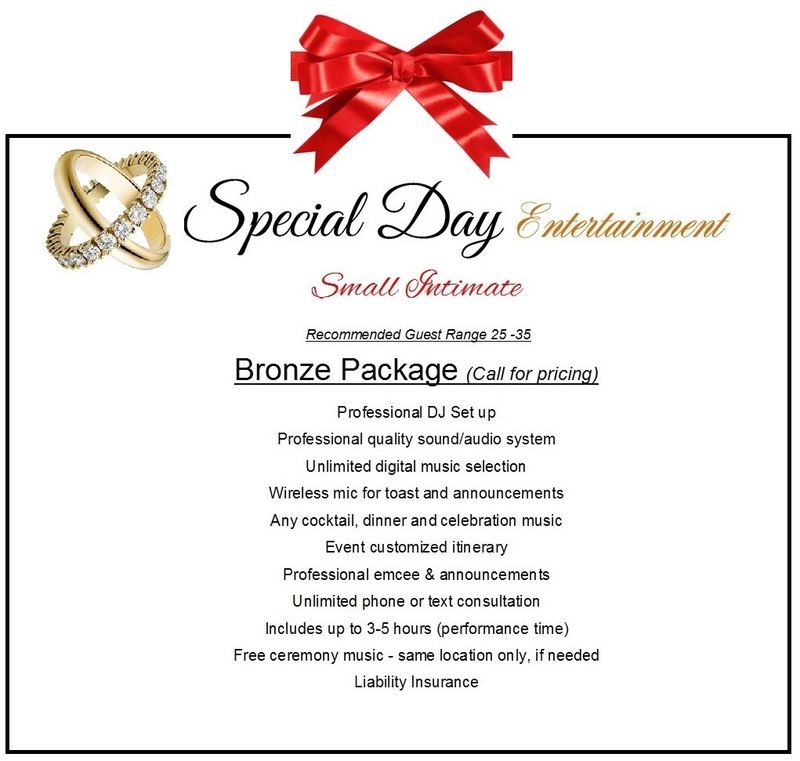 You should trust it to only an experienced wedding DJ. Please choose your entertainment wisely. DJ Joey has 29 years experience in the industry. He brings the current trends & vibe to your wedding. 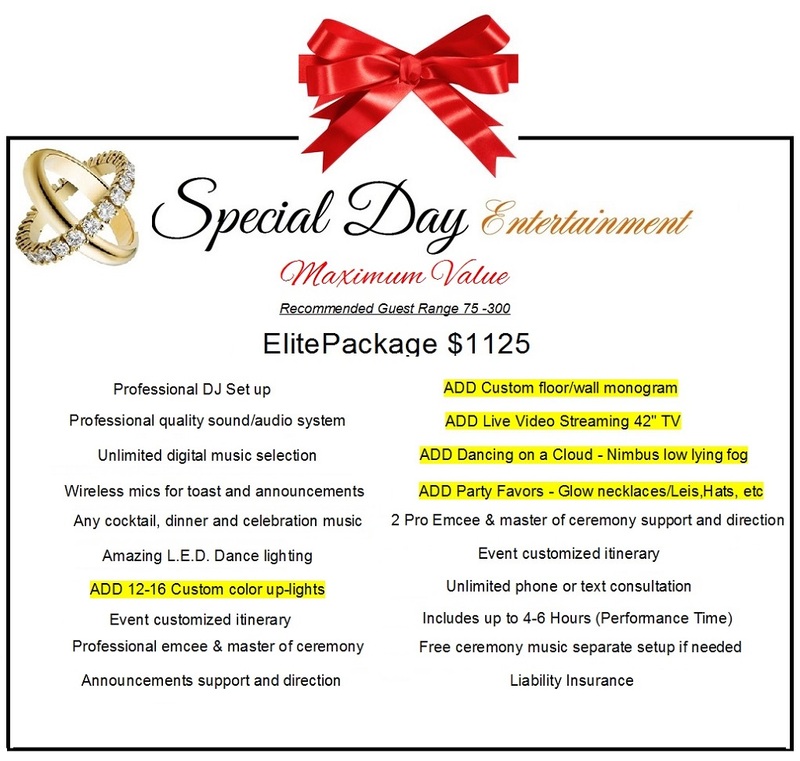 He is able to read your crowd and play to your event in order to ensure you big day is everything you expected & more. We do what you envisioned. 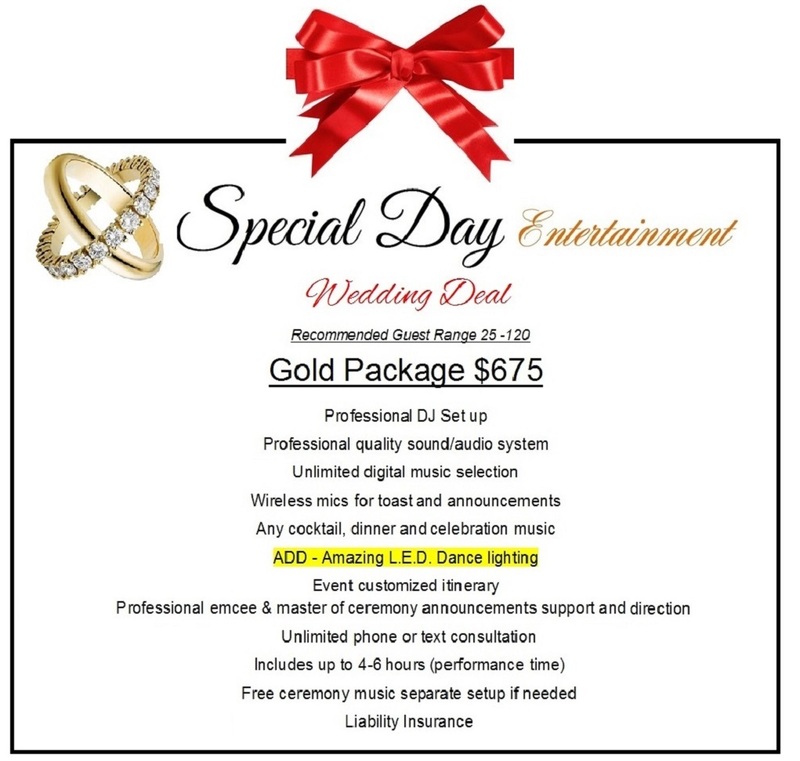 Get busy with your wedding plans and leave the entertainment part to us! Relax and enjoy your day with your guest as we keep your wedding flowing to the end with great success! Recommended guest ranges are just suggested, All packages apply to any number of guest. Choose below a package that fits your needs or call us and list just the items you want to put together your own package. Mon thru Thurs rates vary, call for price. 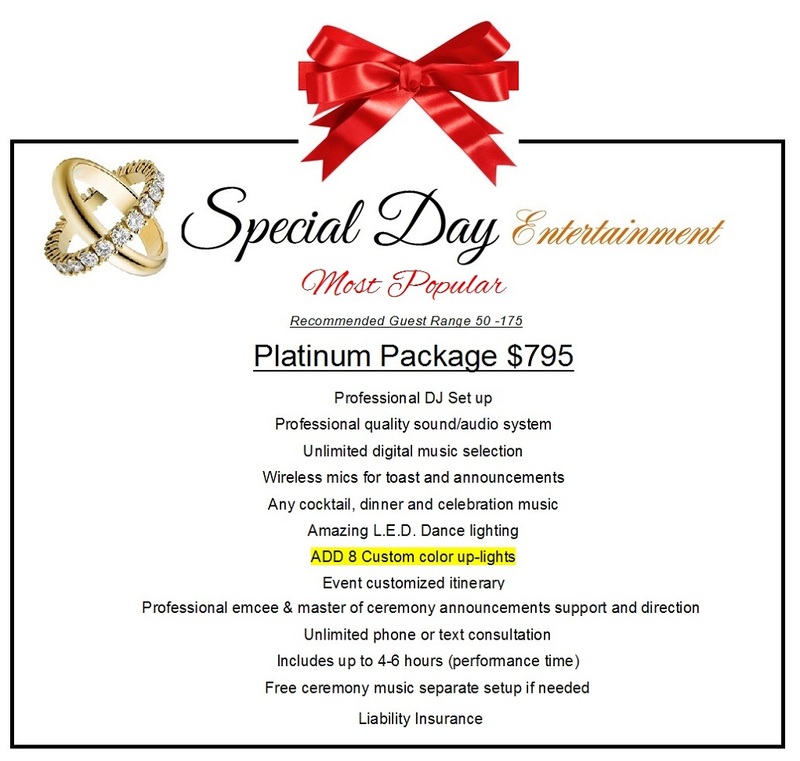 A $100 non-refundable deposit is required to secure a date and payment balance is due the day of your event. Equipment set up and break down times are included in the price. We need approximately 2 to 3 hours for set up time and approximately 1½ hours for break down time. Meal should be provided for the DJ for any events of 4 hours or more. Jacksonville, St. Augustine, Orange Park, Atlantic Beach, Jacksonville Beach, Fernandina Beach, Middleburg, Palm Valley, Palm Coast, Port Orange, Green Cove Springs, Gainesville, Daytona, Starke. For all other counties, including in the state of Georgia, travel costs may apply.